This article was originally published by Tax Notes. Gary Kalman is the executive director of the Financial Accountability and Corporate Transparency Coalition. 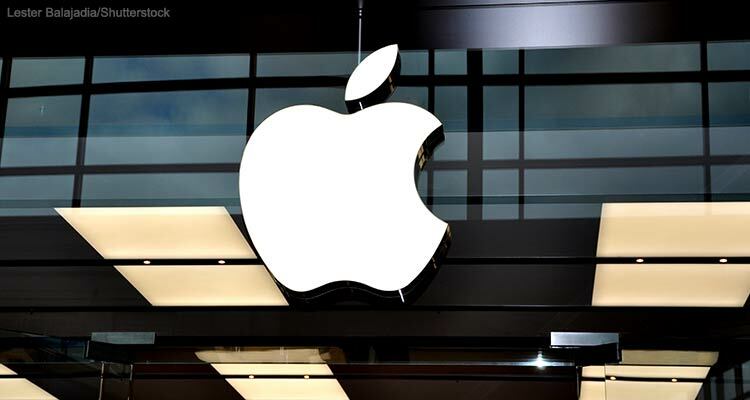 In this article, Kalman uses the recent Apple tax ruling by the European Commission to identify problems with proposals for a territorial tax system in the United States. He argues that policymakers should instead focus on ending deferral, requiring public country-by-country reporting, and adopting provisions of the Stop Tax Haven Abuse Act. After careful study, the European Commission has determined that Apple has not paid very much in taxes. It may be news to some, but aggressive tax avoidance has been a subject of debate in the United States for years. Apple has been at the center of several high-profile investigations. Apple has about $215 billion1 in profits booked in tax havens. It is curious that the U.S. government has focused on battling the $14.5 billion tax assessment from the European Commission when it has done little to pursue the more than $60 billion Apple owes under U.S. tax rates. But as the fight over Apple’s tax bill continues, it is important to consider the issues that got us to this point and what Apple — and the lesser known Apple Operations International and Apple Sales International — tell us about our tax system and various proposals for reform. In many ways the U.S. tax code assumes companies are much like individuals. It does not assume that the laws are the same for both — deductions and myriad other provisions are different — but it assumes that companies are entities that have residences with addresses and that they can be taxed based on those residences. That assumption may be reasonable. Given all the rights companies enjoy,2 it seems only fair that they share in the responsibilities. But the execution is deeply flawed. Globalization, an army of creative tax attorneys, and an astonishingly low effective tax rate among U.S. multinational corporations have demonstrated the need for better rules. Consider a recent study3 by Citizens for Tax Justice and the Institute on Taxation and Economic Policy that found 26 profitable Fortune 500 companies paid zero federal income tax over five years. The need to close loopholes may seem obvious, but some recent tax proposals4 include a fundamental change that doubles down on facilitating tax avoidance. The proposals call for what economists refer to as a “territorial system” for corporate taxation. That approach further weakens the already imperfect corporate tax system. A territorial system has a superficial appeal. In theory profits are taxed according to where they are made rather than according to the company’s global footprint. The United States, the argument goes, should tax only U.S. profits, France taxes French profits, Spain taxes Spanish profits, and so on. The problem is that companies are not the same as individuals. Profits can be moved through accounting maneuvers — no plane ticket, visa, or passport is necessary. Companies can divide themselves into multiple parts. They can be legal residents of a dozen countries — or none at all. As we saw in August,5 Apple was able to create an offshore subsidiary in Ireland — with no employees, premises, or economic activity — and booked profits totaling tens of billions of dollars there, while paying no corporate income taxes on those profits to any national government anywhere in the world. Ignore the headquarters in California. Apple is, through creative legal maneuvers, a company without a country. Thanks to similar approaches to corporate taxation, Chevron paid $248 on $1.7 billion in profits6 to the Australian government. Google, General Electric, Time Warner, and many of America’s best-known brands engage in aggressive tax avoidance practices. One study7 found that 15 well-known U.S. companies paid no federal income tax on $23 billion in profits in 2014, and those same companies paid almost no income tax on $107 billion in profits in the preceding five years. The list of jaw-dropping tax avoidance is long. Multinational companies regularly create several subsidiaries. A subsidiary in a low-tax country can create paper transactions to overcharge its counterpart in a higher-tax country and ensure revenue and profits are moved across borders. That is referred to as abusive transfer pricing and is the most common form of manipulation of revenue and profits. Companies also engage in earnings stripping, which occurs when a company reduces its taxable income by paying excessive amounts of interest to a foreign subsidiary. A third widely used method is offshoring intellectual property. That occurs when a U.S. company sells the rights to its U.S. patents and other IP to a subsidiary in a low-tax country, for a very low price. The U.S. company then pays its foreign subsidiary excessive amounts to use its own IP. If it sounds complicated, it is. At one point the ingenuity of these schemes was so impressive, there was an annual Oscar’s-like awards ceremony to honor the best of the tax avoidance practices. We must strengthen the rules and close the loopholes to eliminate gaming of the system. If I, as a U.S. citizen, make money in Des Moines or Dublin, I pay taxes on my earnings. I cannot create an Irish alter ego to discount a portion of the earnings. We need to look at the whole company, regardless of how it divides itself, to understand the global picture and adopt policies that reflect today’s multinational corporate structure. And we must not have different tax rates for profits based on where they are booked. Some have suggested a lower tax rate for offshore profits. That would do nothing to address the incentive to offshore revenue. A territorial system, without any definition of what we mean by “U.S. profit,” is an invitation to even greater tax avoidance. Our current hybrid system allows money to move to offshore subsidiaries untaxed, but if it is brought back to the United States, it is taxable. That has likely kept some companies from moving all their profits offshore. Eliminating that last hurdle in a territorial system would remove all barriers to profit shifting. The only companies to pay U.S. corporate income tax would be those too small to divide. Not surprisingly, no one supporting the change has acknowledged that the corporate tax burden would move even further away from large, multinational companies onto smaller, domestic businesses and individuals. The stories we read often focus on one company, like Apple, or a group of companies, but the cost of corporate tax avoidance is staggeringly high. The money held offshore by U.S. companies amounts to $2.4 trillion. At the current corporate tax rate, taxpayers are owed about $700 billion. In the absence of reform, the annual cost of profit shifting is estimated at $111 billion, or slightly more than the federal government spent in 2015 on education and infrastructure combined. Apple’s story tells us we should not move to a territorial system and further encourage profit shifting to tax havens. Its example is a roadmap for other companies to follow under a system that confers benefits on slicing and dicing a corporation’s legal structure. Instead, we should remove the benefits of profit shifting. Congress should immediately end the deferral of tax payments on profits moved and held offshore and tax all profits at the same rate. Under the current policy, the offshore profits are taxed only if they are “repatriated,” meaning when the company brings them back to the United States. To avoid any possibility of double taxation, we should keep the credit that multinational companies receive for any tax payments made to other nations. But we should not allow the myth of double taxation to drive us to a policy of nontaxation. Beyond ending deferral, several reforms in the Stop Tax Haven Abuse Act would help make for a more rational corporate tax system. One related change being considered is to require publicly traded companies to report revenue, profits, and taxes paid on a country-by-country basis in their filings with the SEC. If we are to make rational tax policy, we should have all the information. New IRS regulations will soon take effect requiring multinational companies to provide this information in tax filings. That information is not public and is of limited value to lawmakers. But because the information is already collected, it suggests that an SEC requirement would not produce significant new burdens. In poll after poll,8 most Americans say corporations should pay more taxes, not less. But if some believe that multinational corporations should pay no income taxes, let’s have that debate. Supporters of a territorial tax system should not hide behind the false notion that these entities will stay whole and pay the taxes on profits attributable to their U.S. operations. We need a tax system with integrity. It should be fair and enforceable. Let there be no special preferences for booking profits offshore. A territorial system moves us in the wrong direction. 1 Alex Webb, “Apple May Repatriate at Least $5 Billion in 2017, Cook Suggests,” Bloomberg Technology, Sept. 1, 2016, available at http://www.bloomberg.com/news/articles/2016-09-01/apple-may-repatriate-at-least-5-billion-in-2017-cook-suggests. 2 Nina Totenberg, “When Did Companies Become People? Excavating the Legal Evolution,” NPR (July 28, 2014), available at http://www.npr.org/2014/07/28/335288388/when-did-companies-become-people-excavating-the-legal-evolution. 3 Robert S. McIntyre, Matthew Gardner, and Richard Phillips, “The Sorry State of Corporate Taxes: What Fortune 500 Firms Pay (or Don’t Pay) in the USA and What They Pay Abroad — 2008 to 2012,” Citizens for Tax Justice and Institute on Taxation and Economic Policy (Feb. 2014), available at http://www.ctj.org/corporatetaxdodgers/sorrystateofcorptaxes.php. 4 Tax Reform Task Force, “A Better Way: Our Vision for a Confident America” (June 24, 2016) , available at http://abetterway.speaker.gov/_assets/pdf/ABetterWay-Tax-PolicyPaper.pdf. 5 European Commission, “State Aid: Ireland Gave Illegal Tax Benefits to Apple Worth Up to €13 Billion” (Aug. 30, 2016), available at http://europa.eu/rapid/press-release_IP-16-2923_en.htm. 6 Neil Chenoweth, “Chevron Paid Only $248 Tax on $1.7 Billion Profit, Senate Tax Inquiry Told,” Australian Financial Review (Nov. 9, 2015), available athttp://www.afr.com/business/energy/gas/chevron-gorgon-company-paid-only-248-tax-on-17-bn-profit-senate-tax-inquiry-told-20151108-gktu7s. 7 Dan Weil, “Report Calls Out 15 Fortune 500 Companies for Paying No Taxes,” Newsmax Finance (Apr. 15, 2015), available at http://www.newsmax.com/Finance/StreetTalk/Fortune-tax-corporate-GE/2015/04/14/id/638367. 8 Seth Motel, “5 Facts on How Americans View Taxes,” Pew Research Center (Apr. 10, 2015), available at http://www.pewresearch.org/fact-tank/2015/04/10/5-facts-on-how-americans-view-taxes; and Harry Stein, “Businesses Should Pay Their Fair Share After Tax Reform,” MarketWatch (Mar. 2, 2016), available at http://www.marketwatch.com/story/businesses-should-pay-their-fair-share-after-tax-reform-2016-03-02.